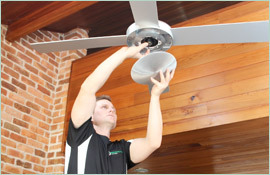 Paul’s Electrical Services Delivers Experienced Support. Contact our Electricians in Drummoyne Today. It’s a struggle of wires – with your fingers tangled in electrical equipment, trying to sort through a mess of power points and surge protectors. There’s a weak fuse hidden somewhere beneath this chaos, but you’ve yet to find it, wasting hours tracking every cord, socket, and flickering light. Sorting out electrics is not how you imagined spending your weekend. 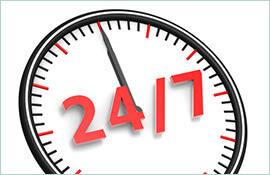 Paul’s Electrical Services suggests salvaging your Saturday by contacting us. Our electricians in Drummoyne are always available, eager to provide you with the support you deserve and the results you expect. For 18 years, they’ve offered qualified residential responses, creating custom solutions for a variety of tasks, including power points, sensor lights, switchboards, Level 2 connections, safety switches, and more. We recognise the frustration our clients experience, with appliances, gadgets, and power sources often proving less than cooperative. This frustration is why our electricians in Drummoyne deliver specialised assistance, assessing each project with trained eyes and quality equipment. They’re highly-trained (and highly motivated) tradesmen who understand the need for exceptional workmanship. No longer suffer through DIY disasters. 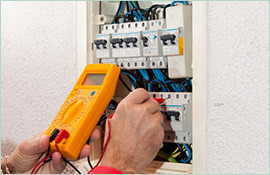 Let our electricians in Drummoyne instead provide relief, identifying the best strategies for your particular needs. 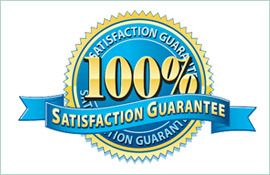 They precisely complete every project to a high standard – and they combine every service with a 100% satisfaction guarantee. To learn more about our Drummoyne electricians – or to schedule an appointment – contact Paul’s Electrical Service today by phone (0-409-337-439) or by email (paul@paulselectrical.com.au). Our team will happily answer any questions or concerns.